Latour, a prestigious name in Burgundy since more than two hundred years. The Louis Latour House was founded in 1797. It has been a family of winegrowers in Aloxe-Corton since the 17th century, who patiently built a vineyard of about fifty hectares, of which 29 hectares classified Grands Crus- Côtes d’Or. A unique estate. The 29 Grands Crus hectares of the Louis Latour House spread on the Côte de Beaune through to the Côte de Nuits. The House also owns Château Corton Grancey and cellars dating back to 1834, set in the Corton “Pierrières” stone, thus allowing an optimum maturation and ageing process. The House is currently managed by Louis-Fabrice Latour, a seventh generation. The majority of the vine from the Louis Latour House are located in Aloxe-Coron, crate of the family. In this village, Louis Latour owns 10.5 hectares of Corton-Charlemagne Grand Cru, one of Burgundy’s most renown white wines, but also several hectares of red wine : Corton « Clos de la Vigne au Saint », Corton « Bressandes », Corton « Chaumes », Corton « Pougets », Corton « Perrières », Corton « Clos du Roi » et Corton « Grèves ». Louis Latour also owns Chambertin Grand Cru properties, Romanée-Saint-Vivant Grand Cru « Les Quatre Journaux » and Chevalier-Montrachet Grand Cru “Les Demoiselles”. Harvesting is usually carried out in mid-September. The key consideration when deciding the time of harvest time is the ripeness and condition of the grapes. All of the red grapes are picked manually and harvested as late as possible. White wine vinification differs from the reds in that the grapes from the harvest go directly into the press. The pressed grape juice, called must, then undergoes a rapid fermentation. The wine is transferred into French oak barrels where it continues to age for a period of approximately 12 months. The wine undergoes rackings before the final blending, which consists of selecting only the clearest wine, with a simple decantation process, leaving the heaviest lees at the bottle of the oak tanks before final blending. 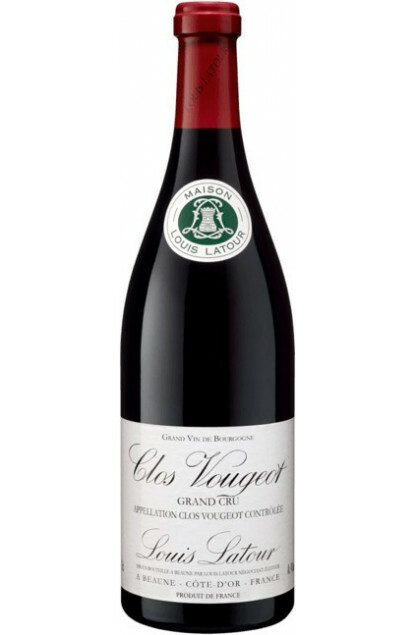 Louis Latour’s red Burgundies, like every Burgundy wines are meant to be kept, especially grands Crus, for 15 to 30 years for the most remarkable vintages. Their silk and smoothness, their length, the complex and various underwood aromas that are often expressed, are signs of wines that will perfectly fit with red meats or in sauce, including burgundy snails. However, whites will fit well with shellfishes, oysters and some cheeses like époisse or brie.